Doesn't look good, I'd jump ship immediately when you've played our last game(s). Just need the correct job to become available @DNZY before I decide to jump. My reputation is still on minimal. Oh @Dan I do agree. It's been a poor season at Belle Vue this season compared to one year ago when we secured a top six finish, this season we can finish as low as ninth and with just one game remaining I'm hoping I can end the campaign on a high as we host Llandudno on the final day. An early goal from the prolific Luke Boundford saw us wrap up the Welsh Premier League campaign with a single goal victory against Llandudno at Belle Vue but the afternoon was soured a little when right back Ryan Connolly was dismissed with four minutes remaining. The success on the final day of the season proved cruical as due to Barry Town United also winning it stopped us finishing in tenth position. 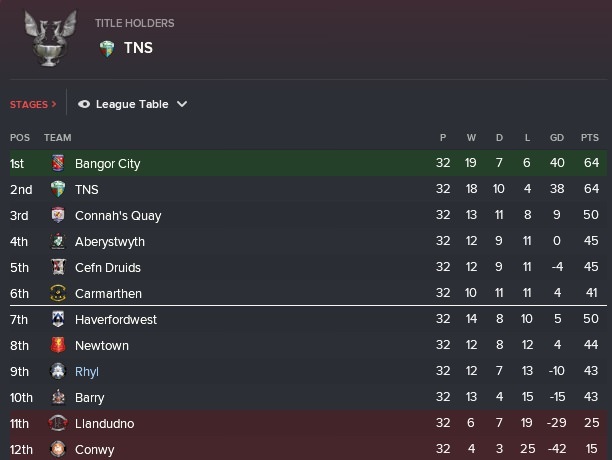 Bangor City pipped The New Saints to the title on goal difference but I feel that my time at Belle Vue is over as I'm not going to be able to progress with them further. It was @ptfc1876, it's the second time Bangor's toppled TNS in winning the Welsh Premier. 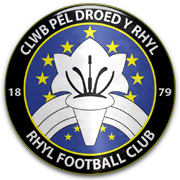 I have made my decision to leave the Welsh Premier League side Rhyl after two seasons at Belle Vue but I have chosen NOT to resign at the moment but I know I won't be at the club whenever preseason comes around in late June/early July. With limited jobs available I have made the decision to return to Singapore. So it looks like I will be returning to Hassanal Bolkiah National Stadium and returning to DPMM despite them sacking me during my last stint. I chose to attend the interview and I was hoping they'll give me a second chance at the club. And they have indeed given me a second chance as I have been appointed the new first team manager and now it's my second stint at the football club (I usually don't like going to the same club more than once) but I thought I'd return as I hope to make my second chance with the Singaporean/Bruneian club. I plan to only be here until at least the end of the current season, depending on how it ends up going. But I will return to DPMM with the club bottom of the table with just one win from the opening fourteen games and I don't know what's happened between my first stint and me returning to the club. I've got a feeling my second stint at the club is going to be a struggle. 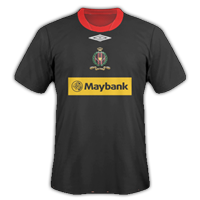 For the second time in this career I've returned to the Singaporean side Duli Pengiran Muda Mahkota or DPMM for short looking to have better success than I did during my first stint when I was sacked during the mid-season break. The second coming starts in July and begins with a trip to fellow struggling side Tampines before hosting Geylang International - we also face Albirex (S), Warriors and Home United in Group A of the S.League Cup. My return to the football began with a boring nil nil draw against second bottom Tampines. We perhaps should've won but didn't unfortunately. The first home game on my second coming saw us welcome Gaylang International and they would ruin my return, winning two one. First half strikes from Ichikawa and Bakri put the visitors in control, Mokhtar pulled one back for DPMM on fifty seven minutes but we couldn't find an equaliser. Our first match in the group stages of the S.League Cup was a frustrating one as we squandered a two nil lead at home to Albirex (S) and also had two players sent off. Muhd Maududi scored twice in a minutes to put us seemingly in control but Albirex pulled one back two minutes before half time through Hara - centre back Bradley was then dismissed two minutes into the second half, Inoue made it two apiece for the away side but that wasn't the end because with twenty one minutes remaining Rosli was off and the hosts were down to nine men and somehow we held on for a point. Just three days later the side visited Warriors and were swept-ed aside by the hosts, winning two nil as Hamid Hussain and Zainal struck but Warriors also played the entire second half with ten men when Rahin was dismissed. Poor. The third and final group A game saw us host Home United and two second half goals gave Home the away victory as Ul-Young and Said scored. Not much really needs to be said at this stage in my second coming. Played two games, haven't won either and remain bottom with one single win all season. I have forgotten to take a screenshot from the League Cup group but iirc we finished bottom anyway so it wasn't pretty reading. I feel the Albirex game killed our confidence a little, well that, and the fact we're bottom of the table thus far. Just caught up with this, you've had some rotten luck so far but got some qualifications and a bit of experience under your belt so the first trophy opportunity hopefully isn't too far away. Good luck with the return to DPMM, looks like it could be quite a challenge! Will it though @Dan? Can guarantee I won't get sacked this time around. It's been a tough start to the challenge thus far @itchycoo and doesn't look like it's going to pick up anytime soon - my reputation in three years hasn't even reached a full star yet, I should stop getting sacked though. Yeah I'm glad I'm getting the coaching qualifications @gaz12321 and if my reputation can increase then I'll be "laughing". 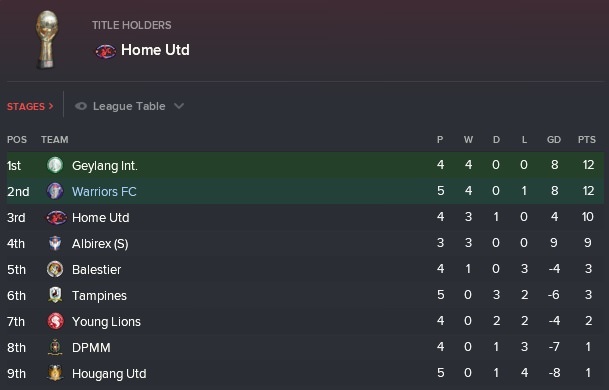 It's been a tough return to DPMM for myself as we're win-less in my opening five competitive fixtures, including a S.League Cup group stage exit. There's two league matches in August, both at home as we face Hougang United and Warriors. 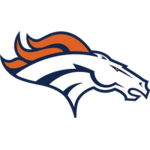 Can I get my first competitive victory since my return or will the struggle continue for the basement side? The first of two home fixtures this month saw us welcome Hougang United and the struggle continued as the game ended nil nil. Five days later Warriors then visited and eased to a five two success on their travels as the visiting side had a five nil lead at the interval as Ikhsan Fandi bagged a hat trick while Ghani and Gabriel Quak also scored. Second half goals from Othman and Muhd Maududi made the scoreline a little more respectable but we need to start getting more points on the board. Still win-less since my return to the football club but we've moved off the bottom on goal difference. It's a two way race for the league title as both Home United and Albirex (S) are well clear of the third placed side Geylang. 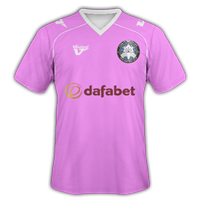 You can hurt my feelings all you want @DNZY, it's been a brutal return to DPMM and career thus far (minus perhaps managing Rhyl). It's a win! We travelled to fifth placed Young Lions and produced an excellent two nil win on our travels - Azwan Ali broke the deadlock on thirty eight minutes and then the points were secured on sixty four minutes when Lokila doubled the lead. It was then back-to-back away games as we visited league challengers Albirex (S) as we secured a one one draw. Muhd Maududi got us off to a flyer with a goal on ten minutes but we couldn't hold on for an excellent win because Ito levelled for the hosts. The third and final fixture this month saw us welcome Balestier to Hassanal Bolkiah National Stadium and produced a four two win. Goals from Amin (own goal), Azwan Ali and Muhd Maududi (pen) had us three goals up but Nanda Lin Kyaw Chit pulled one back before half time, Ali's second of the game made it four one before Kyaw Chit's second of the game was no more than a second consolation goal. We remain second bottom but it was nice to see some great dots after a horrible return to the football club to date. Of course we can't win the league, nor qualify for the AFC Cup but now it's all about playing for a bit of pride and trying and finish as high as possible. And a successful month on the field ended with a bit of successful news off the field as I've been allowed to go on a latest coaching course which'll see me capture my Continental B Licence if I'm successful. It will take around six months worth of study and the football club are covering the nine hundred and sixty pound fee for the course, if only my reputation would hurry up and rise then I'd be laughing. Last month we finally picked up some more victories in the S.League and my first two since returning to the club as both Young Lions and Balestier were defeated and there's just two games this month as we host Tampines before travelling to Home United a week later. The first of just two matches throughout October saw us welcome basement side Tampines as the bottom two went head-to-head and the game finished score-less for the second time under my short return to date - Ikhogo was dismissed for the visitors on seventy three minutes but we couldn't find a winner in a game involving two poor teams - just five wins so far this season between the two sides. Seven days later we travelled to the league leaders Home United and they duffed us five nil as we have now failed to score a single league goal this month. Both Izzdin Shafiq and Song Ui-Young both hit braces while Khairul Anuar also netted. 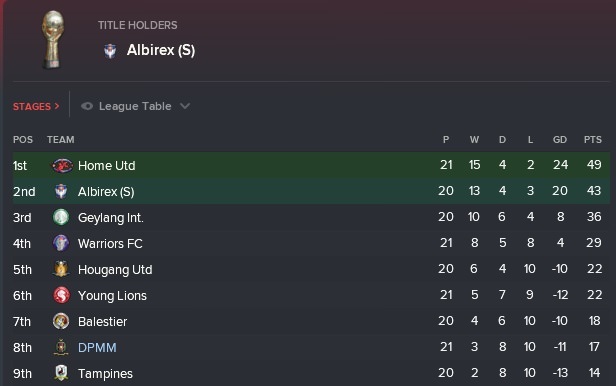 Still second bottom with just one league game remaining and it's been an awful enough return to the football club who sacked me last time I was employed and I've made the decision to depart the club at the end of the season. Home United are champions. Another trophy less season has come and gone and my second stint at DPMM has been quite awful with just two league wins to our name (three overall) this season. 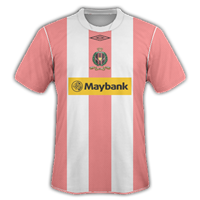 We head into the final month of the campaign with just one more S.League game remaining and that will see us make the trip to Bedok ActiveSG Stadium to take on Geylang International, a trip that will need to see us get a plane to it. Can we at least end a dismal campaign on a high? No is the answer because Geylang International picked up a single goal victory in this fixture as Bakri scored what turned out to be the winner with only fifteen minutes on the clock. A dismal campaign for Duli Pengiran Muda Mahkota has come to an end and thankfully because Tampines also lost on the final day we've had to settle for an eighth place finish in what'll be my final game in charge of the Brunei/Singapore outfit as I have no intention in coming back for the twenty twenty one campaign. 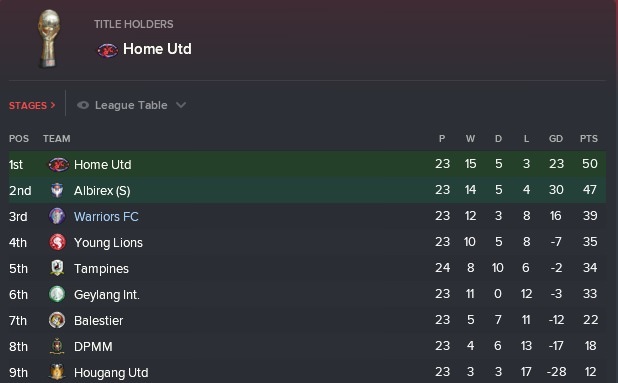 Home United won the league. 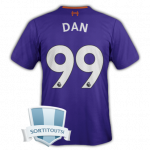 The final piece of news this season is that I have indeed tendered my resignation after only one hundred and thirty six days in charge which is sixteen days shorter than the previous manager, Maniam Chetty, who got understandably sacked. Steve Kean, who had been in charge for over four years remains the longest manager in charge of this football club (since the save began in twenty seventeen). I ended up being replaced just four days later by young Singaporean Itimi Dickson who left Young Lions to take up the post. Not the greatest start to the save @Shedender! Hope you keep going though! It was brutal @DNZY it really was. Please stop judging me now, it would be nice. I don't think I'll return there. Nope but it probably would've been boring if I had immediate success @r96Skinner, I've still got no intention in letting this save die because I WILL have success. Yep it hasn't been the greatest starts to one of my Football Manager careers @jameo_94 but that's fine. Playing friendlies against small clubs? Funny enough, that's what I usually do but once the competitive campaign starts, well that's when it goes to pot. It's not that I'm terrible at the game, I'm just struggling to find consistency - unless I go on a long losing streak, then I find the wrong kind of consistency. 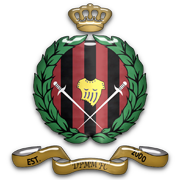 With my second stint at DPMM coming to an end at the end of the season, with the final game being a single goal defeat away to Geylang International, I tendered my resignation with immediate effect and I don't think I'll ever return to the Brunei/Singaporean side for a third stint. 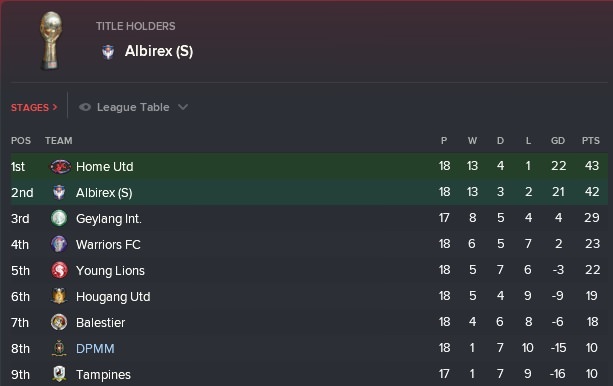 With minimal jobs available due to my reputation failing to rise at the moment I have had to remain in Singapore, but what "idiotic" team would actually want to employ a manager with zero consistency? When the vacancy became available I wasted no time in applying for the vacancy at Warriors Football Club, I believe they're the fourth best team (in odds for winning the league) in Singapore and more importantly another professional side and they're actually Singaporean so I shouldn't need to worry about going over the non-EU player rule - if I'm successful. I tried my best in the interview and now I'm just hoping they can give me another opportunity to prove my managerial worth. 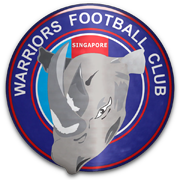 And it's now official - I have been named as the new first team manager of Warriors, the team who finished fourth in the S.League last season and I'm delighted they've given me an opportunity. 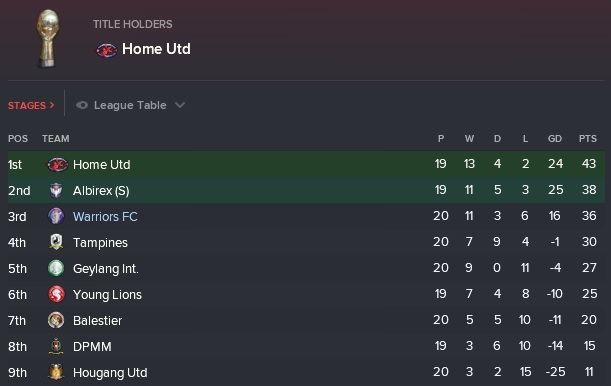 The plan is to try and do well with them in an attempt to try and get the vacancy at either Home United or Albirex (S) who are arguably the two biggest clubs in the Singaporean S.League - I still need to return to Wales but I'm waiting in-patiently for The New Saints job to come up. 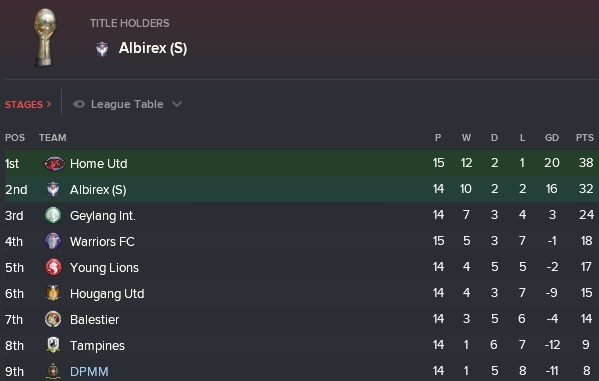 With an already strong squad at my disposal I didn't think many changes were required at Warriors Football Club ahead of the twenty twenty one S.League campaign as I would love to topple the top two clubs - Home United and Albirex (S), the Choa Chu Kang Stadium outfit last won the league title a few seasons ago. Just three players ended up arriving at the football club during the preseason with one, Elliot Ng from Young Lions already being confirmed before I arrived - Brazilian attacking midfielder Mello arrived on a free from "unattached" and Gary Loo, a central midfielder, joined from Tiong Bahru. Four players left the Choa Chu Kang Stadium as Jasper Chan joined Young Lions on a free while Ahmas Jamaluddin joined Geylang International on-loan - Chai Meng Young and Hafiz Mohd Nor both joined our feeder club SAFSA on loan deals. The opposition may not have been the strongest but we've wrapped up a perfect preseason with five wins from the five games arranged and three consecutive clean sheets. Things started with a straight forward four one success on the road against Pasir Ris, we then secured an excellent two one home win versus Johor DT. We then had three consecutive three nil wins to conclude the preseason program as Tanjong Pagar, Ang Mo Kio United and Sunrise Place were all defeated. With an unbeaten preseason program behind us and just a few players in the door it's now time for the competitive action to begin with Warriors Football Club and I'm hoping for a good campaign ahead as we look to conquer the top two sides. The opening month see us play five games with all of them being in the S.League - we have three home fixtures against Young Lions, Balestier and my former employers DPMM while the club make journey's to Hougang United and the champions Home United. The twenty twenty one S.League campaign begin with Young Lions visiting Choa Chu Kang Stadium and a twenty sixth minute goal from Brazilian debutant Mello proved the difference in a one nil victory. One week later the side made the journey to Hougang United and it turned out to be back-to-back victories and back-to-back clean sheets as Warriors produced a two nil win - an own goal from Mohd Fauzi on seventeen minutes gave us the lead, El Habbib doubled the lead with twenty five minutes remaining. It was then three wins on the bounce thanks to this three nil home success over Balestier and two goals in the space of six first half minutes from an Amin own goal and Gabriel Quak had us in control, Rahim added a third Warriors goal with just nine minutes remaining to give us a deserved victory. Lokila's goal in the first minute of first half stoppage time gave Home United a fully deserved single goal victory - our first competitive defeat since I arrived. The opening month of the new season concluded with a deserved three goals to nil win against my former employers DPMM thanks to three second half goals. An own goal from Yura Indera Putera gave us a forty ninth minute lead, striker Ghani scored his first goal of the season nine minutes later before a penalty from El Habbib on seventy one minutes sealed the deserved win after a frustrating and cagey first half. 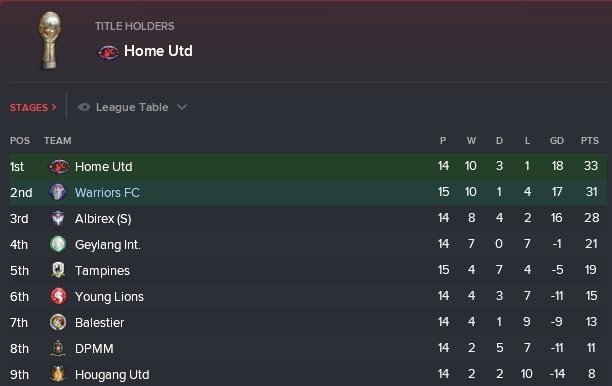 Although I don't think it's going to last because I'm in charge, it's been a promising start to the twenty twenty one campaign as we find ourselves in second place, behind leaders Geylang International on what I'd assume would be goals scored and they've a game in hand as well. It's been a struggling start for Hougang United, DPMM, Young Lions and Tampines who are all winless after four or five league games. It hasn't been a terrible start to life at Warriors which is a welcome change for this career with just one league defeat (vs. Home United) from the opening five S.League fixtures and we've also kept four clean sheets from the opening five games - it's been a promising start but it's also important that it's maintained. We enter March with four games awaiting us including two in the AFC Cup against Yadanarbon and Kedah while we've also got two league games against win-less Tampines and Geylang International. The month began with some AFC Cup action as we played host to Yadanarbon and deservedly defeated them two nil, striker Ghani gave us the lead after fourteen minutes before an own goal from Hia with just eleven minutes remaining doubled the score. 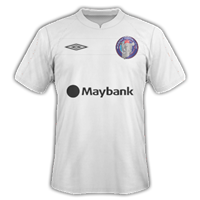 We then made the trip to win-less Tampines three days later and suffered an irritating single goal defeat as the hosts recorded a S.League win for the first time this season because Azeman scored the winning goal on fifty three minutes. It was then back to AFC Cup action as we headed to Malaysia to the second group game and were held to a one one score. An own goal from Chua Heng-Huat after only fifteen minutes gave the Malaysian's the lead but Ghani's equaliser twenty minutes later saw the points shared. The final match of the month saw us welcome Geylang International to Choa Chu Kang Stadium and a two nil success saw us end the month on a high courtesy of two first half goals. We broke the deadlock on sixteen minutes when Ghani scored and then twelve minutes later central midfielder Rahim doubled the scores and that's how the game finished. A mixed month domestically has seen us drop down a position and into third now but it's still early days, Tampines' win against ourselves is still there only S.League win thus far while Hougang United are bottom and win-less. Champions Home United lead the way and are already six points clear of last seasons' runners-up Albirex (S). Meanwhile in our AFC Cup group, we find ourselves top after the opening two rounds of fixtures and the only team thus far in the group to have actually won a game (2-0 vs. Yadanarbon at home on match day one) while we've got three more group games next month in what's going to be a busy enough month because alongside the three AFC Cup games we have five S.League games as well. Pleased to announce that I've completed my Continental B Licence and now immediately I'm being allowed to go onto the next step which will see me capture my Continental A Licence and then I'm just one step away from completing the entire set of coaching qualifications. It's going to take around an entire year worth of study and Warriors will be covering the near two and a half thousand pound fee for the course and now I feel "obliged" that I need to remain at the football club while I'm studying. You've found a club you can win at I'm excited to see whether you can maintain your form and challenge for the title! Home United seem like the best team in the league! At the moment @tongey but because I'm the current manager I expect things to go badly in no time. 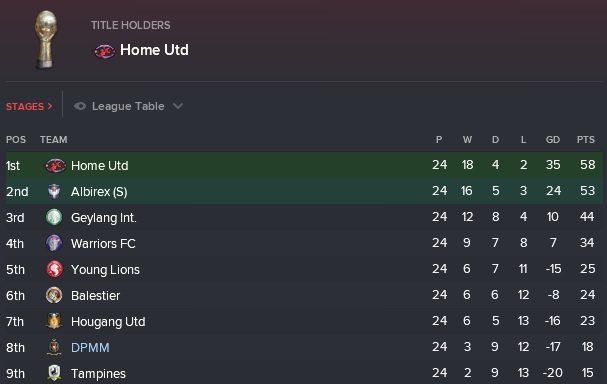 Home United are the best club in Singapore, it'll take a monumental challenge to topple them. April began with our eighth S.League game of the season and a trip to the twenty twenty runners-up Albirex (S) and they made us suffer our third defeat of the current campaign as the hosts recorded a three two success. Brazilian attacking midfielder Mello got us off to a flyer after just five minutes and when Ghani doubled the lead ten minutes into the second half we were confident in picking up maximum points - Albirex (S) had different ideas though as a brace from Ito and a Nakai goal in between saw the home side secure maximum points. It was then back to AFC Cup action as we welcomed Filipino side Global and both sides produced a six goal thriller at Choa Chu Kang Stadium. The team from the Philippines took the lead on twenty minutes through Soldevilla's first of the game but Ghani's first of his brace levelled the scores a minute later, on fifty six minutes Soldevilla's second saw Global re-take the lead but again we levelled the scores at two apiece when El Habbib scored on sixty eight minutes. Reyes then gave Global the lead for the third time with just nine minutes remaining but when they thought they were going to hold on, Ghani's second of the game rescued a point. Back to domestic action following that three apiece draw against Global, we now welcomed win-less Hougang United in the S.League and managed to defeat them following a two one victory - inform striker Ghani gave us the lead after twenty minutes but win-less Hougang equalised in the second minute of first half stoppage time, Ghani's second of the game with seven minutes remaining proved to be the winner. We then made the trip to Myanmar to face Yadanarbon in our fourth AFC Cup action and a late goal from El Habbib saw us record a hard fought three two victory. Goals from Ghani after six and thirty one minutes had us seemingly in cruise control against Yadanarbon but two goals in the space of a minute from Min Zaw Oo saw the Myanmar based side make it two all before El Habbib scored the winner on eighty minutes. The last time we faced Tampines we suffered an embarrassing one nil defeat and that still remains their only S.League win to date because we got revenge in the home game, winning four one as Ghani continued his prolific form with a hat trick thanks to goals in the third, seventy eighth and eighty second minute while El Habbib scored the other goal on the quarter hour - Azeman scored what turned out to be a consolation goal for Tampines on sixty four minutes. A single goal from left winger Gabriel Quak was enough to secure a one nil win over Malaysian side Kedah at home. 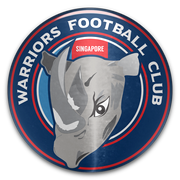 The eleventh S.League match day saw Warriors suffer a fourth league defeat as Balestier came from behind to secure a two one win. Mello got us off to a flyer when he scored after three minutes, Farhan made it one one on fourteen minutes and the same player scored the winner with the game entering second half stoppage time, a disappointing defeat but we did have our third choice keeper in goal. A long long month concluded with a hard fought two one win against my former employers DPMM - Mello once again opened the scoring when he scored after eleven minutes but Ahmad levelled on twenty six minutes but a tense game was decided in the seventy second minute when winger Gabriel Quak scored. We remain in third position after a decent month despite losing two games (vs. Albirex (S) and Balestier) and we are seven points behind the reigning champions Home United who are still unbeaten. No one is currently win-less but Balestier currently prop up the table a point behind Hougang United and two points behind DPMM. 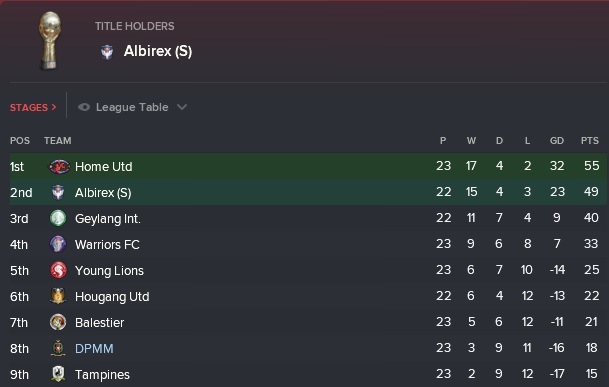 In the AFC Cup we find ourselves top of our group, five points clear of Global but we haven't secured qualification to the next round and I've no idea what the rules of the competition actually is because I haven't thought of checking but we're unbeaten with one group game remaining - every other club has won just one game each. We should hopefully seal qualification the next round. With June upon us, it turned out to be a short month on the field as we only had to play the minimum of three games with one of them vs. champions Home United being in the S.League while we concluded the AFC Cup group stage with a trip to Global and then also had the first leg of the AFC Cup semi final. Our AFC Cup ASEAN group concluded with a trip to the Philippines to face Global and we returned to Singapore with a deserved three one success despite falling behind as Reyes gave the hosts an eleventh minute lead but striker Ghani equalised twenty minutes later. A second half double from right winger El Habbib saw us secure a three one win as he struck after sixty eight and eighty six minutes. We will face another Filipino side in Meralco in the semi finals which is played over two legs. The one and only league game this month saw us welcome champions Home United and the points were shared in a one one draw as Ghani gave us the lead in the fifteenth minute but we couldn't hold on because centre back Lim Swee Swee put the ball through his own net with twenty two minutes remaining. We deserved to win the game though but c'est le vie. We then welcomed Meralco in the semi final first leg of the AFC Cup as we edged a five goal thriller, winning three two as striker Ghani got us off to a flyer with a fourth minute goal and then on twenty minutes an own goal from Menzi doubled our lead, Ghani's second of the game saw us take a three nil lead and we were seemingly cruising against the Filipino's - a brace from Cutamora gave the visitors hope going into the second leg. It seems pointless to post the league table this month so it does since just one league game was played and that ended in a score draw against the now no longer unbeaten leaders Home United. Hougang United are now propping up the table and two points adrift of DPMM. We find ourselves still in third place and seven points behind the leaders but just two points behind second placed Albirex (S). With an unbeaten month in all competitions behind us which saw us put one step into the AFC Cup ASEAN final we entered the month of June which will see us play the second leg against Meralco while we'll have two S.League games both on the road against Young Lions and Geylang International and the Singapore Cup quarter final first leg tie at home to Geylang will also be played. The second leg of the AFC Cup ASEAN semi final began with month of June as we booked our place in the ASEAN final against Malaysian side Kelantan, securing a five three aggregate win and winning two one in the Philippines. We fell behind early on against Meralco when Robles scored after nine minutes but El Habbib levelled the scores on the night with a goal three minutes before half time, seven minutes into the second half Gabrial Quak scored what turned out to be the winner to secure our place in the ASEAN final. After the win in the Philippines we then had nine days to prepare for the trip to Young Lions as our quest to win the S.League continued with a three one win on our travels as El Habbib opened the scoring after nine minutes and then Ghani made it two after twenty three minutes, Abdullah pulled a goal back for Young Lions on the half hour but just like in the game against Meralco, Gabriel Quak wrapped up the win with a goal in the fifty second minute. The fifteenth S.League match day took us to Geylang's Bedok Stadium as we left it late to wrap up a five two victory on our travels as both Brazilian attacking midfielder Mello and striker Shahfiq Ghani both hit braces while Chau Heng Huat also scored in the fourth minute of second half stoppage time - an own goal from Lim Swee Swee and Tahir saw the hosts bag two consolation goals but we deserved maximum points. June concluded with the quarter final first leg of the Singaporean Cup against Geylang International and we put one foot into the semi finals after this commanding four one success at Choa Chu Kang Stadium. A twenty three minute hat trick from left winger Gabrial Quak had us three goals up inside the opening thirty two minutes, Tahir scored a consolation goal for the visiting Geylang and that's all it turned out to be because Ghani added a fourth goal with seven minutes remaining. Up to second placed now after our fifteenth game but everyone else other than Tampines (and ourselves) have played fourteen games. We are two points behind Home United who obviously have a game in hand while Hougang United remain at the foot of the table. I'm still stunned at how well we've began this season but it's going to take a massive attempt to humble the reigning champions Home United. 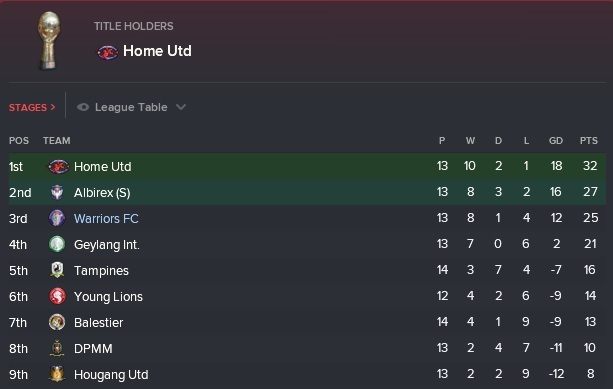 This has arguably been one of the best seasons I've had in my managerial career, currently lying second in the S.League and just two points behind Home United (who have a game in hand) while we've progressed to the AFC Cup ASEAN final while we've got one foot in the Singapore Cup semi finals. July will see us play five games - the Singapore Cup quarter final second leg against Geylang, the S.League home game versus Albirex (S) and three S.League Cup group A fixtures against Geylang International, Home United and Hougang United. And the month of July began with the quarter final second leg of the Singaporean Cup and despite losing two one to Geylang we still progressed five three on aggregate. Warriors took the lead in the second leg five minutes into the second period through Ghani but a Tahir brace saw the hosts win on the night but we still progressed. Our one and only S.League game this month saw us host Albirex (S) who won two nil as Kamata and Nakagemi struck. It was then time for the first of three S.League Cup Group A games as we hosted Geylang International and we began the group with a two nil victory as two second half goals from Ghani proved enough as the striker struck after fifty six and sixty four minutes. We had several players missing for the trip to Home United because of internationals, they easily won four nil and it could've been more. The final group A game saw us host Hougang United and we eased to a three nil win and progressed to the semi finals stage. Right winger El Habbib gave us the lead on twenty two minutes before left winger Elliot Ng doubled the lead five minutes later, Ng's second of the game on seventy two minutes sealed the win against Hougang. Just one league game was played, we lost and are down to third place. It kinda seems pointless posting the table but hey ho. As you can see we finished in second place of the S.League Cup group A and thus secured our place in the semi final stage. Home United, as expected won the group and remained unbeaten. It was a poor(ish) month last time out as we lost three out of our five domestic games but the two important wins (vs. Geylang International and Hougang United) saw us progress through to the semi final stage of the S.League Cup. With August upon us we have the potential of seven games over five competitons including just the one league game which'll see us host Young Lions. We face Kalantan in the AFC Cup ASEAN semi finals, Balestier in the S.League Cup semi final and Home United in a two legged Singapore Cup semi final. A trip to the Malaysia Super League side Kelantan began the month of August as Kelantan secured a deserved three one victory despite Ghani giving ourselves a twelfth minute lead on the road but within twelve minutes the hosts turned the game around through Baharin and Tahir - Rusian added a third goal on fifty two minutes for Kelantan which could prove crucial. Just three days later we made the trip to Balestier for the S.League Cup semi final and we advanced to the final thanks to a two nil win as a second half brace from midfielder Rahim booked our place and we'll face Albirex (S) in the final. There's going to be no AFC Cup success this season as Kelantan won the final of the ASEAN stage three two on the night and six three on aggregate. Goals from Mohammad Hasan after two minutes and Baharin on ten had the Malaysian's in control - Warriors went down to ten men on sixteen minutes when Soo Queen Cher was dismissed but Alias still pulled a goal back, Malik made it three one to Kelantan on twenty seven minutes and then Elliot Ng's goal a minute from time made no difference. You won't believe it but I won a trophy! It needed a dramatic shoot-out but we beat Albirex (S) to win the S.League Cup. We fell two nil and then made it two apiece when Mello bagged a brace but the favourites retook the lead a minute after Mello's equaliser when Ito bagged his second and the game went to extra time. Inaba's goal for Albirex on one hundred and eight minutes made it four three but Rahim's dramatic equaliser seen the game go to penalties - we won the shoot-out. 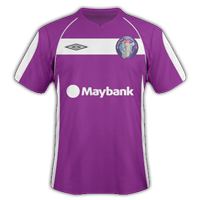 After a dramatic first trophy in my managerial career we had to prepare for Home United in the Singapore Cup semi final first leg just four days later and the first leg ended one apiece as Khairul Anuar gave Home the lead on thirty nine minutes but Rahim levelled six minutes later. The least said about the second leg against Home United - they won three nil as Song Ui-Young second twice and Khairul Anuar also netted in between Ui-Young's double. We were brutal. For the second month in a row we played just the one S.League game against Young Lions at home and a disappointing result saw the Lions secured a two one win undeservedly. My side took the lead on seventeen minutes from the penalty spot when Rahim converted, Saswadimata levelled proceedings on thirty seven minutes and then the visitors won the game with seven minutes remaining when Abdullah scored. Yet again it seems pointless to post the league table as just one S.League game was played by ourselves. We remain in third place, nine points behind Home United. Just one league game was played last month (a two one defeat at home to Young Lions) as cup competitions took control but now we're into the month of September and three S.League games await us - we will host Balestier before back-to-back trips to Hougang United and Tampines. September began with our one and only home fixture of the month against Balestier and it was a frustrating game for the Warriors players and fans as despite dominating throughout we couldn't find the breakthrough. Our first of two away trips in succession took us to Hougang United and an excellent display on the road saw us record a three one victory. Goals from Brazilian Mello and defender Lim Swee Swee had us two goals up after thirty one minutes before Sawadogo halved the deficit five minutes into the second half, Ikhsan Fandi then added a third Warriors goal on seventy four minutes. We dominated against the basement side and could've easily won by a bigger margin. The month concluded with another poor nil nil scoreline away to Tampines, we were the better side throughout but didn't have enough quality in the final third to secure back-to-back victories. If we were more clinical against Balestier and Tampines then we could've been up in second place but alas we remain in third position and seven points behind the reigning champions Home United in who we face in two games time on the road. Hougang United remain as the basement side, four points behind my former employers DPMM. It's looking like we'll need to settle for a third place finish which isn't terrible as I secured trophy #1 in my managerial career. The penultimate month is upon us and it hasn't been a terrible season at Warriors as we've almost achieved our media expectation of a third place finish in this season's S.League. There is three league games this month, again all in the S.League as we entertain DPMM and Geylang International at Choa Chu Kang Stadium while we travel to the current champions Home United in between the home double. The penulimate month began with a home fixture against struggling DPMM and we easily dispatched of them three one, eventually. Gabriel Quak got us off to a flyer after eleven minutes but Azwan Ali equalised from the spot for DPMM on thirty nine minutes. Mustafa put us back in front with fifteen minutes remaining and then Quak's second of the night sealed the win with three minutes remaining. It was then a near two week break before the side made the journey to Home United and suffered a disappointing but deserved two one loss despite Gabriel Quak getting us off to a flyer with a seventh minute strike - two second half goals from Khairul Anuar and Said turned the game around for the leaders. The month concluded with a disappointing one nil defeat at home to Geylang International, Saberin bagging the winner after twenty two minutes. 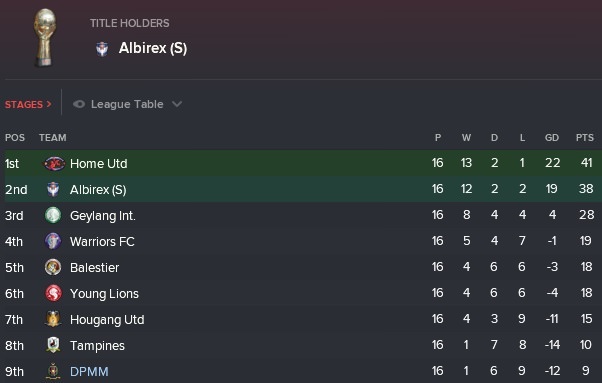 So it's going to be a third place finish which isn't the worst in the world with just one league game remaining in this season's S.League and it means it's a two way race between Albirex (S) and Home United for who will win the title. Hougang United will finish rock bottom.